Any word yet on if it supports multi-touch? That’s an excellent question. I don’t have a touch-enabled PC so the question wasn’t even on my radar. I’ll put out a feeler, no pun intended. This is crazy. 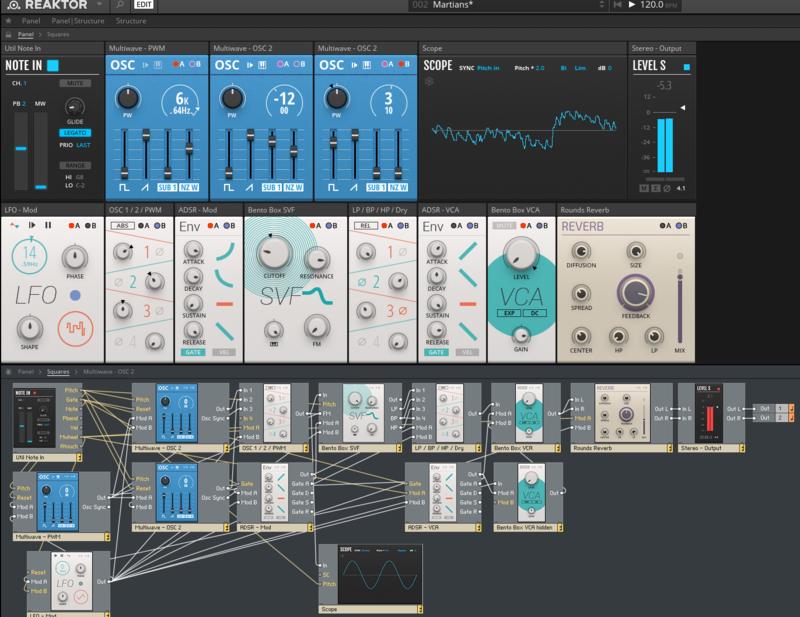 I hear about Reaktor 6 from you & Rich Devine on Twitter, before NI even sends me the press release? What I’m really wondering is whether I should wait and get the next Komplete upgrade to get 6 or buy the upgrade now. I have a feeling I’m getting screwed either way. Blocks look like fun. 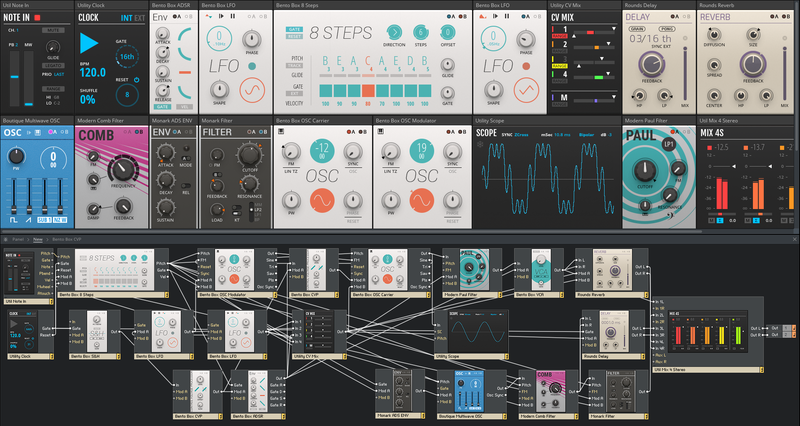 I’m hoping more blocks will be released by NI themselves for example razor’s oscillators or filters. Or molekular modules within the blocks framework. The more the merrier. But I think the really outside the box (blocks?) uploads are going to come from the user base, not from NI. any idea if OSC has been fixed? Are you thinking of incoming or outgoing? Or both? If it’s the problem I’m thinking of, then it’s related to the MIDI out jitter, or we might call it event-out jitter, and it hasn’t been addressed. Are you using TouchOSC by any chance? It was giving me trouble with event order that I wasn’t having with Lemur or Konkreet Performer. no… I’ve written my own macros to process OSC messages from a Madrona Labs Soundplane. I can retest them with R6 easy enough, I just have to remove the work-around Ive put in place to cope with the R5 bug. I just wondered if you had seen a changelog or similar for R6 which might have listed it. dave Techdiff worked very hard on blocks for many MANY years. Believe me, I had a genuine dark night of the soul when I found out what was missing. 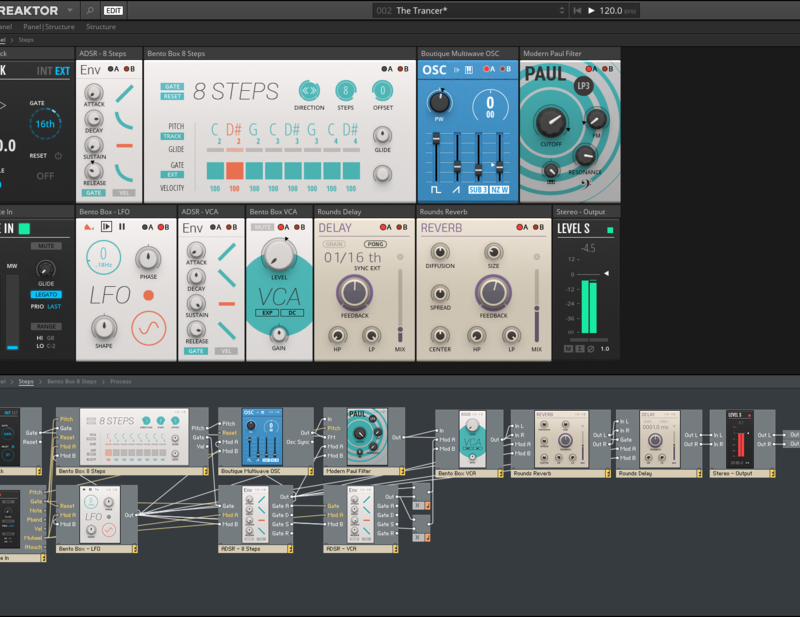 However the more I learned about the table framework and the more I played with Blocks, the more I liked Reaktor 6. 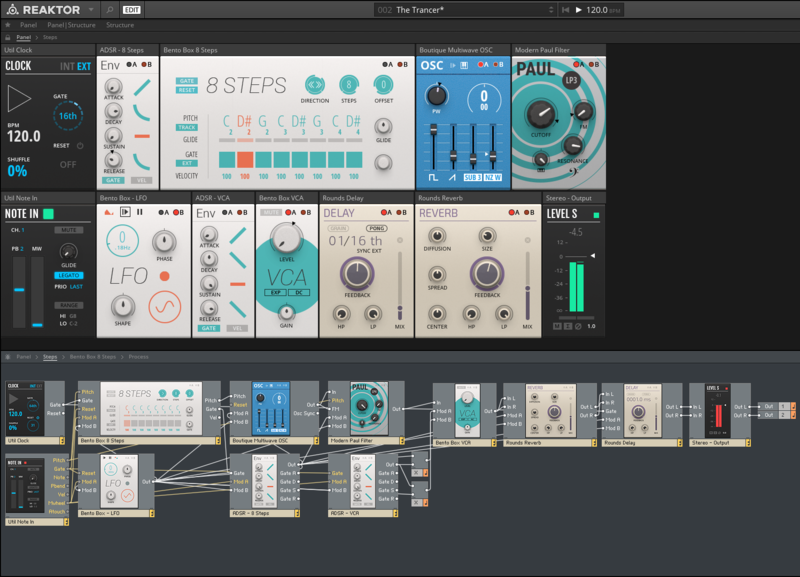 As for development, the Blocks template looks nice – http://www.native-instruments.com/en/community/reaktor-user-library/entry/show/8705/ – and comes with documentation. Aaaanyways. I can accept that multicore isn’t there. And I have a scripting workaround with Processing. But abstractions – that’s badly needed and everyone ought to deluge Native Instruments with requests for it. I haven’t used Python lately – does it have a good, well maintained OSC library? Darn good question. I don’t know, because I still can’t buy any affordable OSC hardware! 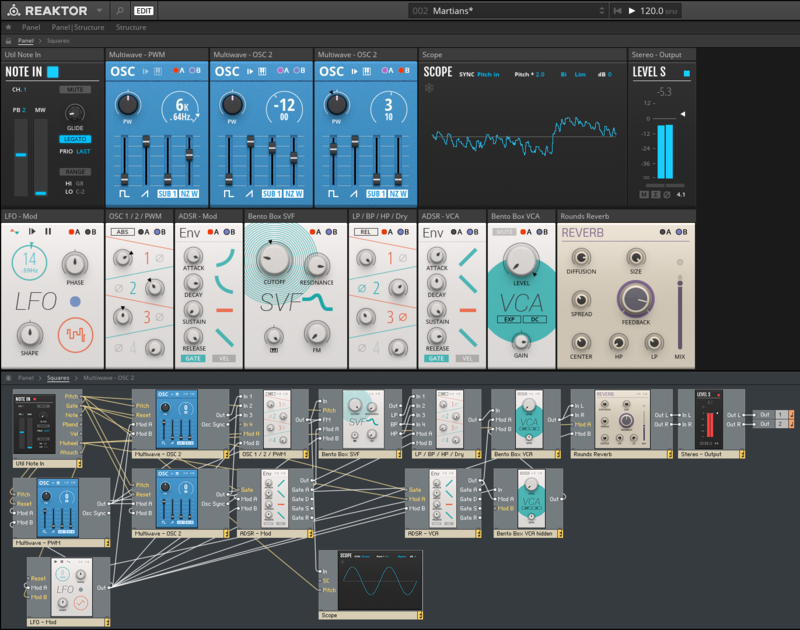 You ought to be able to get signals in and out of Reaktor with Python OSC though…? Oh OK, now I see what you are driving at. My point was different, in that I want Python to control development, not just playback. I suppose an embedded scripting language would be even more useful. table framework really helps me.. also the bundles really helps me. The TF is going to really shake things up, it’s bigger news than Blocks but not as showy. I really wish they could do something about the CPU usage of sample processing in Core though. It’s terrible compared to the primary sampling modules. I think it’s more how the sample data is processed once it’s in Core. Just try some of the existing macros like the Core based grain sampler. It’s much, much less efficient than the primary level grain sampling modules. Maybe there are optimizations to be had… I doubt Core will ever be as efficient as C++ based modules though. It’s just a method for passing arrays back and forth, so they can be processed in script and returned. And I have a Processing based LFO. I should package up what I have and put it out there. 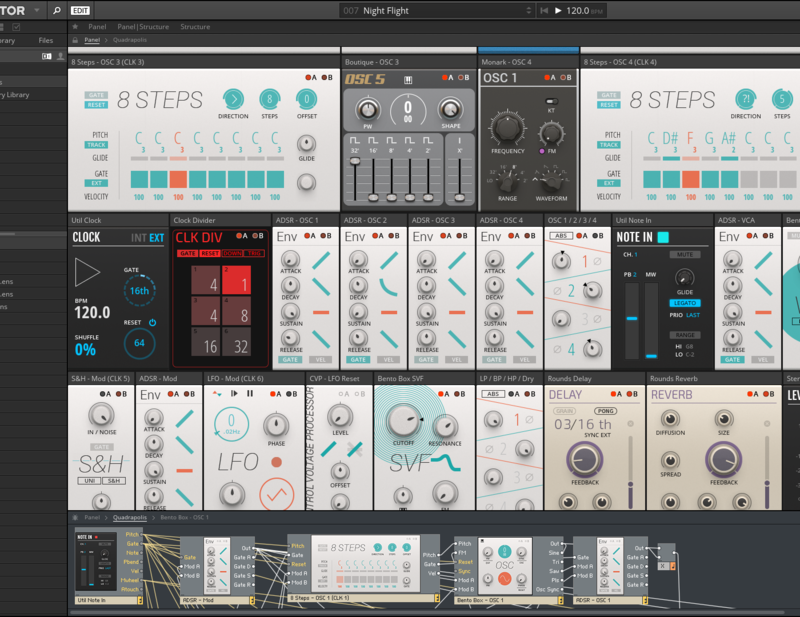 What Reaktor really needs though is an internal script engine that can address panel elements and modules, set properties, set dimension and placement and color, etc. Exactly. Without this, it’s crippled. And developers have known this for at least a decade. 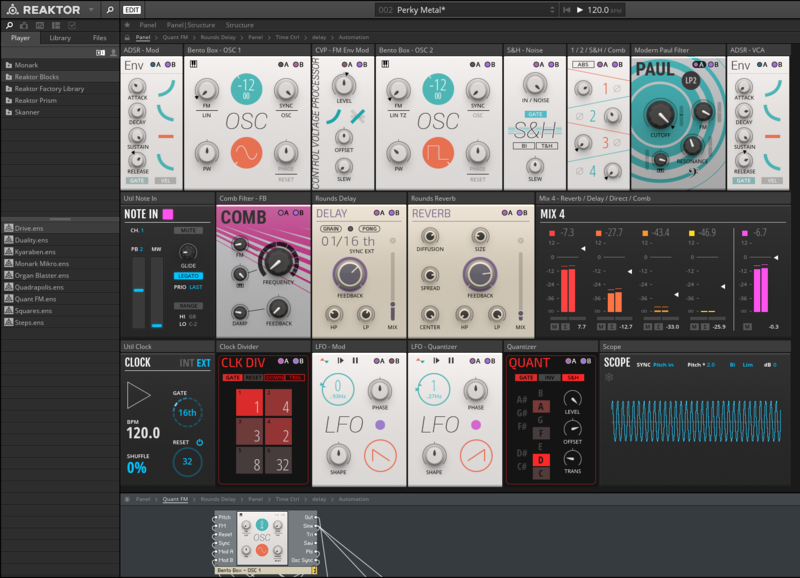 I’m an end-user, but a big part of what has made Reaktor such long-lived, popular, useful software are all the unique instruments that came out of the UL. As these were built by individual and 3rd party developers, adding in the functionality asked for by this community of builders would be a smart business move for NI, and would go a long way towards making this version of Reaktor as popular as past versions. Peter is right; if we can organize a flood of requests for these features, NI will be hard-pressed to implement them in future updates. You neglected to mention that Blocks are monophonic and eat absurd amounts of CPU. OK, good points, and people have been bringing this up on forums. 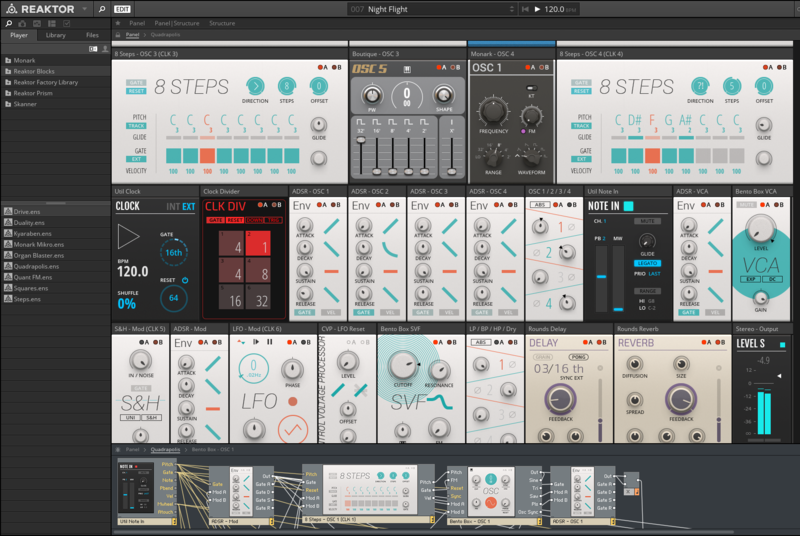 They’re monophonic but so are the coveted modules from Makenoise, Intellijel, Mutable etc. – and my 2 cents is, with the kinds of sounds you’ll be making you don’t want to play chords anyways. That’s not what this is for. On a technical level, Blocks are implemented as instruments, which can’t pass voice information between them. If you come up with an arrangement of blocks you especially like, it’s not impossible to copy and paste them as macros into a single instrument and make that polyphonic. As for CPU usage, I’m building a self playing Blocks patch that uses between 10% and 25% of a single core on my 6 year old iMac, depending on what filters and oscillators I’m using. Remember that Reaktor isn’t multicore, so its own CPU usage meter doesn’t reflect more than a single core’s load. Look at the DAW or system meter for a more accurate picture. All the NI factory blocks are oversampled AFAIK, and deliver sound quality that’s neck an neck with the best of the best in VA, stuff like Diva. So it’s a trade off. That sound doesn’t come for free.